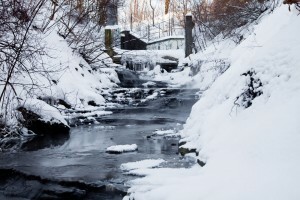 Upper Glendale Falls is located on Montgomery Creek which is in the Red Hill watershed. It was considered a Terraced Classic Falls prior to the construction of the Red Hill Valley Parkway, however it may have changed as discussed below. Further visits will be required. Its height is 3 metres (10 feet) and its width is 3 metres (10 feet). It experiences its strongest flow during seasonal storms and after the winter snow melt. 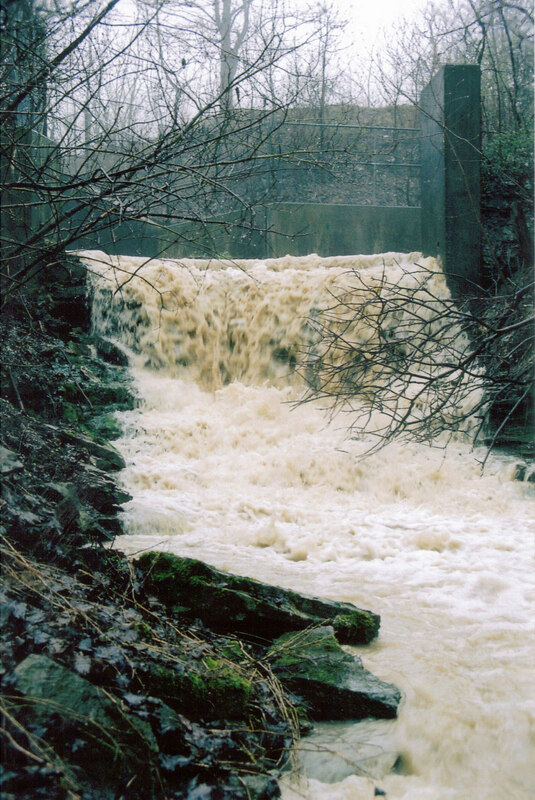 Prior to the Red Hill Valley Parkway, water flowed over the top of the manmade concrete structure onto a cascade section. After the construction of the Parkway, it appears that water flows mainly through a small pipe on the left side of the structure onto the cascade section. A creek which drained onto this structure is now dry as it has been diverted elsewhere. The good news about this creek being dry is that now there is a safe way down to the top of the falls by using this former creek bed from the trail above. 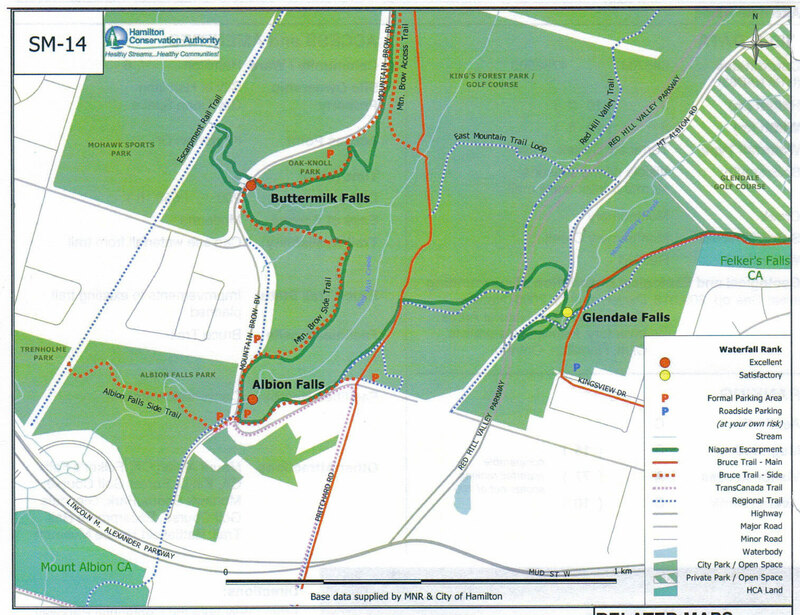 To reach Upper Glendale Falls take Centennial Parkway and exit at Mud Street West. Turn right onto the Paramount Drive at the intersection which is opposite Winterberry Drive. Then turn left onto Kingsview Drive and park just before the end of the road. Follow the trail beside the road to the falls. Map featuring Upper Glendale Falls (referred to as Glendale Falls on the map).